We have formed a 'sister' non-profit foundation in El Salvador called Fundasonrisas. This was necessary because El Salvador does not recognize U. S. based 501C3 non-profit corporations. Our best wishes on your daily occupations. We hereby introduce ourselves and make you aware of the work we do in benefit of oral health in our country. 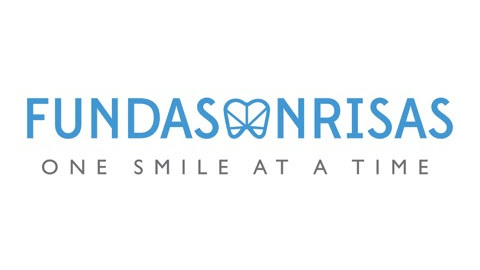 “Fundación Fundasonrisas” is a Non-profit foundation whose mission is to bring dental care and assistance to girls, boys, adolescents, adults and elderly people; with special attention to those living in social vulnerability and poverty. This work is carried out jointly by institutions, companies and organizations that voluntarily contribute to our cause through different means such as donations, economic support, work alliances and mutual cooperation, among others. We perform our work through a mobile dental clinic equipped with two dental chairs suitable for high and low speed rotary instruments, digital X-ray equipment with their respective lead protection apron, autoclave sterilizer for clinical instruments, other diverse equipment and clinical dental materials. We prioritize the biosecurity of our work environment as well as the quality of the service we offer; thus our human resources are accredited dental surgeons and dental assistants, all of whom collaborate voluntarily. • Oral hygiene educational talks. • Donation of brushes and toothpaste (according to availability). • Dental and diagnostic clinical exams. • Prophylaxis, plaque and tartar removal. • Topical application of fluoride. • Elimination of active caries. • Endodontic treatment (according to availability of Endodontics Specialist volunteer). • Complex Tooth Extractions (according to availability of Specialist in maxillofacial surgery volunteer). The depreciation expenses of our material resource, mobile dental clinic and clinical instruments, are $ 450 per day. In this we contemplate expenses for fuel, being that the nature of our work obliges us the tank of the mobile clinic must always be full, because we depend on it to start the inner workings of the dental mobile clinic both as well as for transportation to different parts of the country. Operational costs for patients should also be added according to specific treatments. It is important to mention that it would be ideal to have access to electricity in order to optimize the operation of our clinic, using a quadrilateral type connection, 220 volts.